Each time I try to enable Windows Defender on my PC running on Windows Vista, I keep getting the error message “Windows Defender is turned off by Group Policy; see your system administrator to enable Windows Defender via Group Policy”. What should I do to overcome this issue? Scan your PC with any powerful Antivirus and check whether it is infected with disruptive virus. You can start up the Windows Defender without any problem after removing the virus. If you can’t find any malicious virus, then try to modify the registry. Back up the registry before doing this for protection. Follow the procedures given below to accomplish this. Repeat the two steps given above first to modify the registry. Navigate into HKEY_LOCAL_MACHINE\Software\Policies\Microsoft\Win dows Defender afterwards and erase the value set up for DisableAntiSpyware. Try to turn on Windows Defender after closing the registry editor and check whether the issue still persists. Click Windows Defender, and then click Remove. Follow the prompts to uninstall Windows Defender. AntiVirus Program have to Uninstall which is already installed you System like AVG, MCafe, Norton etc. permanently and install Microsoft Security Essentials. It will replace Window Defender and your AV. Firstly AntiVirus Program Uninstall in your System. Watch & Do steps as per video shows. In the Start Menu Search Box ( ) typemsconfig and press enter on your keyboard. 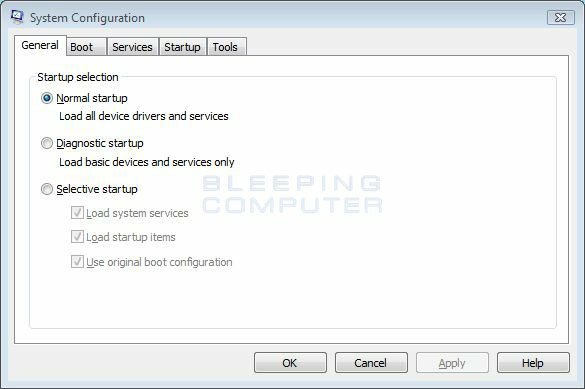 The System Configuration utility will open and you will see a screen similar to the one below. you can not just install group policy in windows home version. Home versions do not have it. If you are using microsoft security essentials, avg, norton, mcafee, avira etc they disable the vista version of windows defender by default. and other anti-virus programs use their own particular type of spyware and malware application scanner. It is nothing to worry about and is the default action that is designed for them to do. I think your antivirus might have disabled the windows defender. Some antivirus have these non-compatibility issues. There is no need to worry. If there is antivirus in the system it is enough. Windows defender is provided by Microsoft but if never catches any virus. First of all OFF the Windows Defender. Then go to the window start and open it. Now select the "run command" and then type the "regedit" option and open it. Because you need to some changes in the registry. Once it opens, locate the "HKEY_LOCAL_MACHINE\Software\Policies\Microsof t". Now here you see the "Windows Defender" option from it. Then you have to remove the value which is set in the disable Anti-spyware. And you allow your window for restart. This will fix the "Windows Defender" problem OK.
To overcome this problem follow these steps.. Right click command prompt Run as administrator. First time you run it will be fail so Execute again..
Now it will take Couple of minutes for the services shutdown..
Run the command again You actually may have to run it 3 times before it finally runs and completes on its own. If the above step does not working please try below steps.. I hope it will help full you..
Do I need to consult technicain if AVG is there in place of Windows Defender in newly bought laptop?